All Saints, known locally as the "Cathedral of the Wolds", is a beautiful Grade 1 listed medieval building set in the centre of the bustling market town of Pocklington, at the foot of the beautiful Yorkshire Wolds. 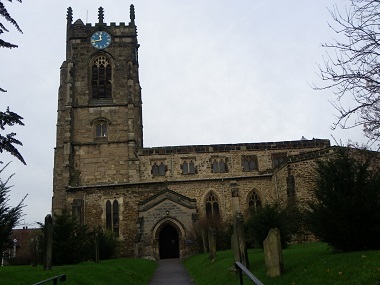 The present church was built between 1190 and 1460 but there has been Christian worship on the site since the 7th century, when St Paulinus first preached in Pocklington and baptised many in the adjacent Pocklington beck. The Church is open daily, offering a quiet place for prayer and reflection for the local community and the many visitors to Pocklington, many of whom are interested in the history of the building. The building is increasingly used by community and charity groups as well as for Church led activities and events. In addition to our services we also run a broad range of activities. Much as we love our beautiful, ancient building, we recognise our facilities are limited. We have made some improvements over recent years, but there is further need to make the Church more suitable for modern activities.